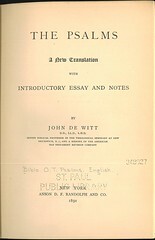 Click here for sample verses from the versions by John DeWitt. 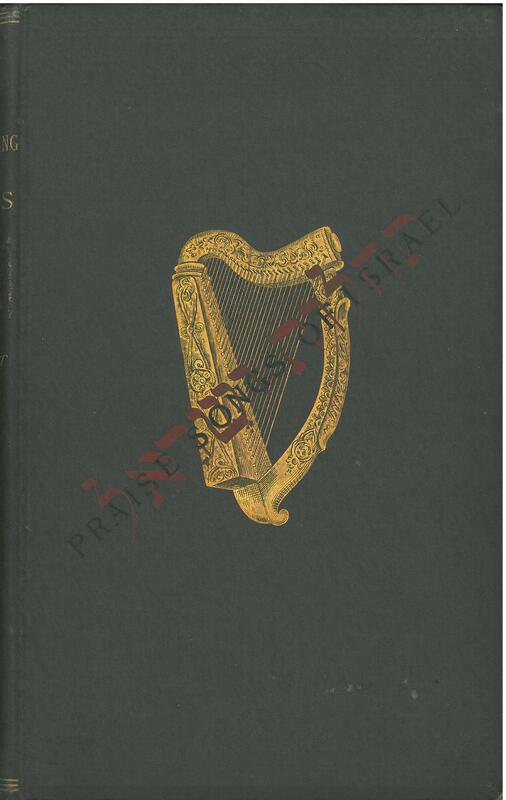 Title: Praise Songs of Israel. A New Rendering of the Book of Psalms. 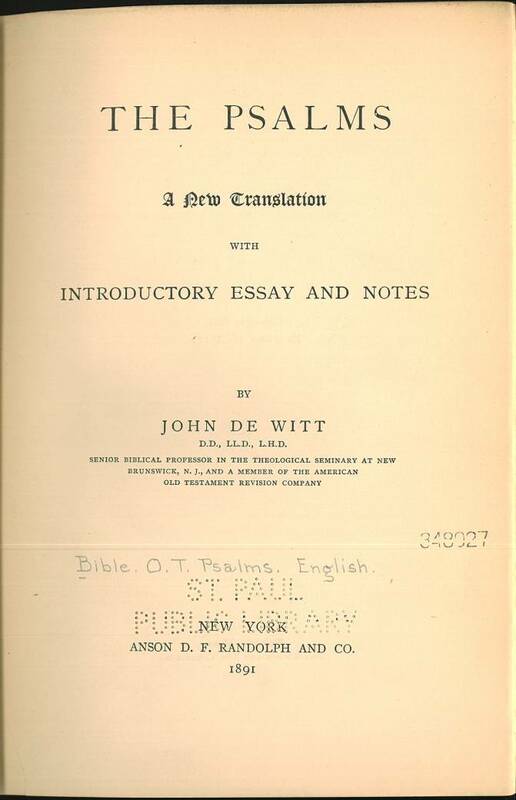 By John De Witt, D.D., of the Theological Seminary, New Brunswick, N.J., A member of the Old Testament Revision Committee. References: Chamberlin p. 320-1; Herbert 2035. 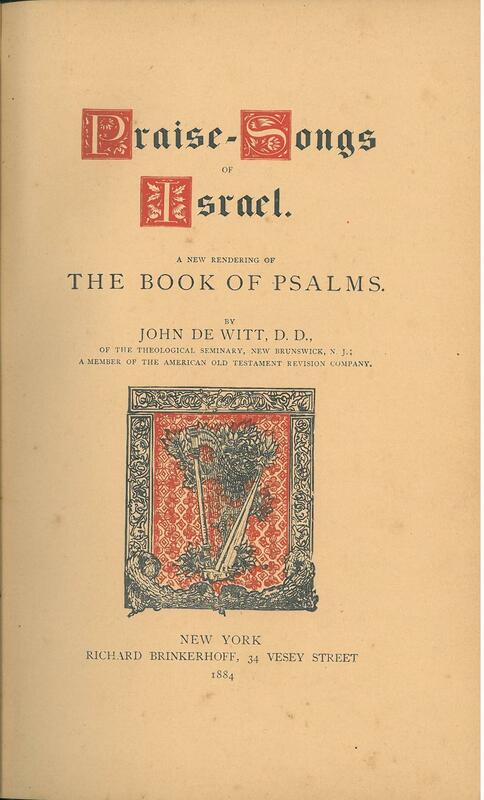 Title: The Psalms A New Translation with introductory Essay and Notes by John De Witt D.D., LL.D., L.H.D.